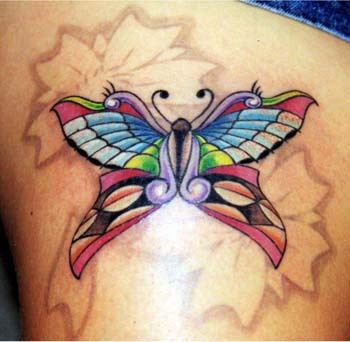 Butterfly tattoos have been among one of the most popular tattoo designs that have been requested for woman over the past years. 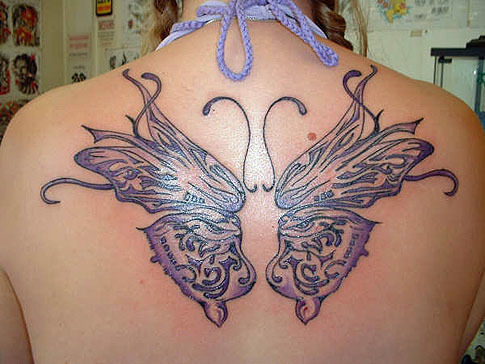 Butterfly tattoos hold a unique fascination with the human race and have always been subject to artistic expression whether it’s in music, tattoos, paintings, etc. With its vivid colors, striking lines, and distinctiveness, most people can’t disagree with the beauty of a butterfly. 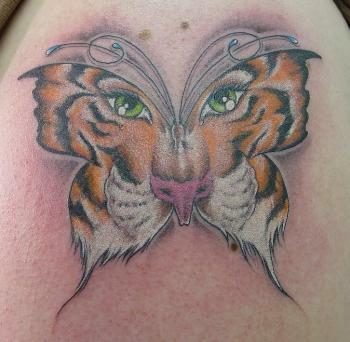 There are literally millions of butterfly tattoo designs. With that in mind finding the right design can take time. 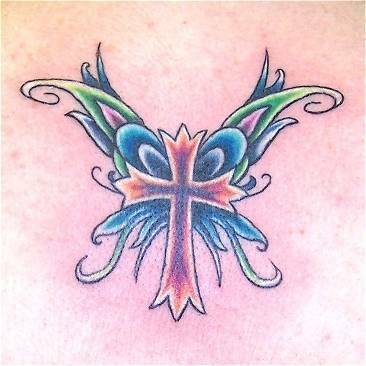 Tribal style butterflies, Celtic butterfly designs, fairy butterflies, big bold butterflies, to small butterfly tattoo designs and anything else in between. 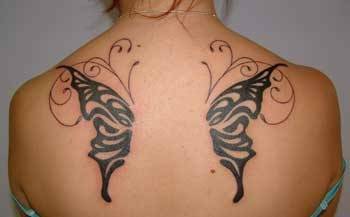 If you know you want a butterfly tattoo I would advise you to look at the designs below to try and open up your mind to all the different design possibilities. It’s also a good idea to look at real pictures of butterflies to understand their shapes and color patterns. 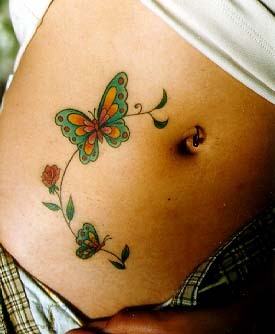 Butterfly tattoos can hold a variety of different meanings. 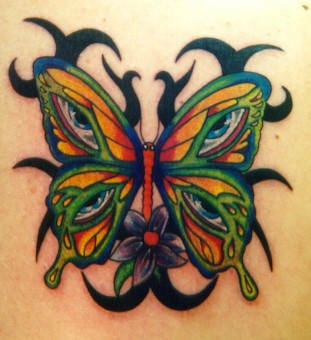 If you’re not already on the bandwagon for a butterfly tattoo perhaps I can persuade you with the following information. 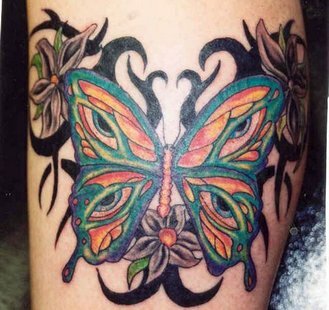 Below I have given some information on what butterfly tattoos can represent, facts about butterflies, as well as testimonials from people that have received butterfly tattoo designs. 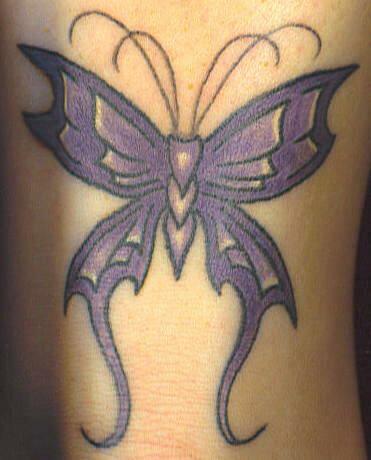 Please keep in mind that a butterfly tattoo can represent different things to different people, below are just some brief examples. At first a butterfly is an ugly caterpillar and nobody even thinks to give it a second look. With time and dedication it transforms into something breathtaking. 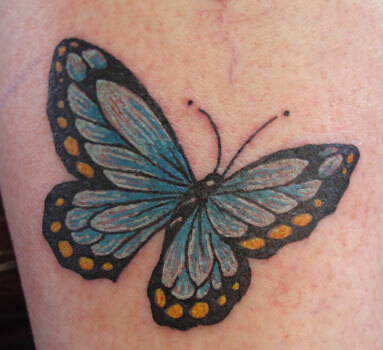 The metamorphosis process makes the butterfly a powerful symbol for transformation. Throughout our life we will be faced with change and transformation. 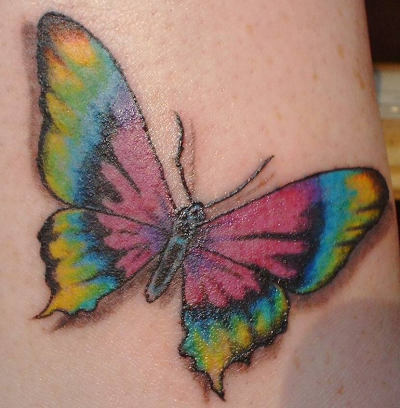 A butterfly tattoo is an excellent way to remember that change, the dedication it took, and serves as a constant reminder to make the necessary changes when the opportunities present themselves. 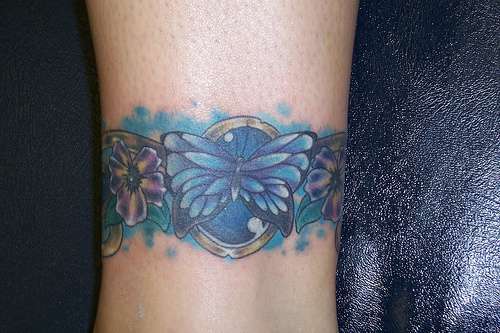 I just received my butterfly tattoo a month ago and for me it symbolizes a new life, a new beginning if you will. For years I have tried to please everyone by being someone I’m not. 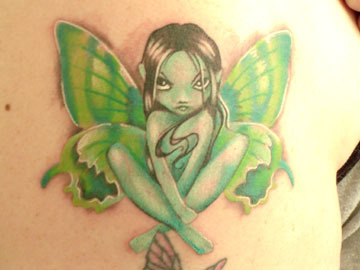 My butterfly tattoo was a gift to me for being me. 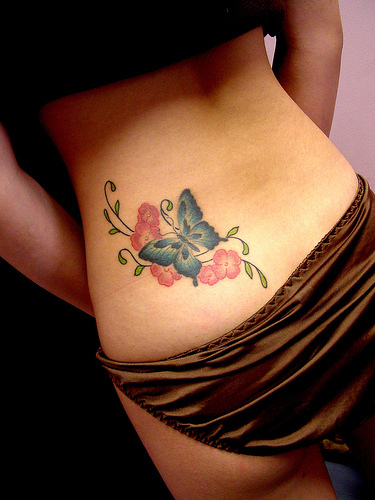 The process was exhilarating and the tattoo is calm, vibrant, colorful, and most of all beautiful. Everything that I want to be. My grandma died and before she was buried she was put into her coffin in a closed depressing room that didn’t have windows or ventilation. A dismal electric bulb was the only thing that lighted her while her loved ones said goodbye. When they arrived into the room they found a butterfly flying around with its vivid colored wings and it has remained a mystery of how it arrived there. 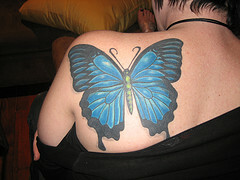 This incident caused me to get a butterfly tattoo. 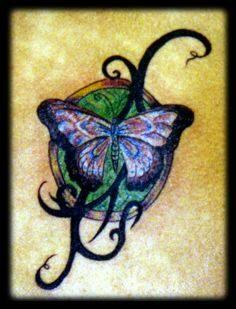 For me my tattoo symbolizes the spirit, life and death with its three stages of mankind, and reincarnation. 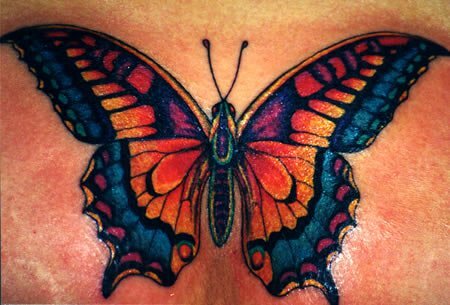 Finally, it also symbolizes the short and intense life and the magic dust on a butterfly’s wing is our freedom that enables our flight. 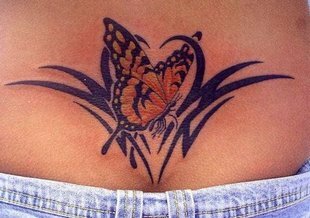 In conclusion butterfly tattoos are not only a great choice for their vivid colors and beauty, but also for the deep rooted meanings they can provide.